In 2017 Jillian Bearden became the first transwoman to race in a professional peloton in the United States when she went up against the best female cyclists in the USA at the 2017 Colorado Classic. 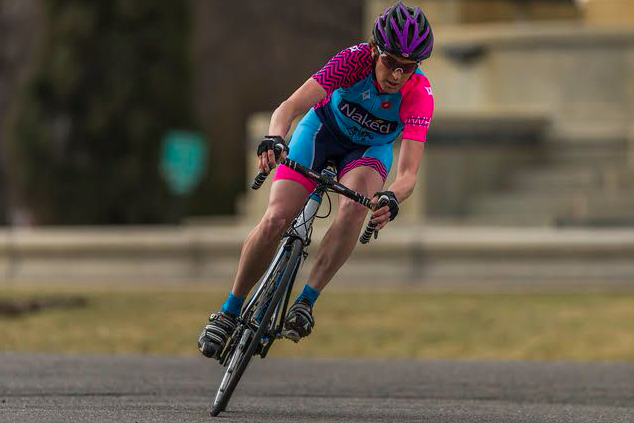 Following the International Olympic Committee’s 2015 Consensus Committee to adopt new policy that is more inclusive for transgender athletes to participate, Bearden is one of the first transgender US cyclists to compete at the professional level. Assigned male at birth, Jillian had turned to cycling as a release to help her deal with her brother’s suicide in 2005, gender dysphoria and her own thoughts of suicide. Cycling became her therapy and in a 2017 interview with the Denver Post she remarked “Riding my bike has saved my life many times over.” As a result, she rose to the top ranks in mountain and road cycling at the amateur level. Unfortunately, it wasn’t enough and in late 2014 Jillian had planned to end it all. Despite all her success in her personal and athletic life, she was ready to commit suicide. At the last moment though, Jillian changed her mind. Shortly thereafter, Jillian came out. To her mom, her partner and her children. She had come to accept herself as female. From then on, her transition began, finding support and love from her family and friends in the process. There was never a doubt that Jillian would give up cycling, as she noted that cycling had “saved her life many times over” and played a vital role in helping her during her transition. During her transition, Jillian had noticed changes in her performance as a result of the hormone therapy. Taking testosterone blockers and estrogen supplements, Jillian’s power output on the bike had decreased has a result. Documenting her performance over the course of her transition and hormone therapy was well in line with other elite and professional female cyclists as well as the (so far) only published study performed on transgender athletes tracking performance changes throughout transition. In addition to continuing her training, Jillian worked with USA Cycling and the United States Olympic Committee in their work to make more inclusive policies for transgender athletes, including adopting the new IOC guidelines in 2015. With her new team and sponsorship, we are looking forward to seeing Jillian race again!